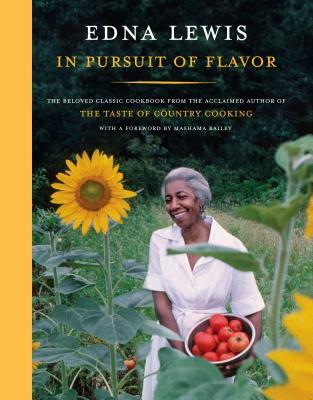 In this James Beard Foundation Cookbook Hall of Fame-inducted cookbook, Miss Lewis (as she was almost universally known) shares the recipes of her childhood, spent in a Virginia farming community founded by her grandfather and his friends after emancipation, as well as those that made her one of the most revered American chefs of all time. Interspersed throughout are personal anecdotes, cooking insights, notes on important Southern ingredients, and personally developed techniques for maximizing flavor. Across six charmingly illustrated chapters—From the Gardens and Orchards; From the Farmyard; From the Lakes, Steams, and Oceans; For the Cupboard; From the Bread Oven and Griddle; and The Taste of Old-fashioned Desserts—encompassing almost 200 recipes, Miss Lewis captures the spirit of the South. From Whipped Cornmeal with Okra; Pan-Braised Spareribs; and Benne Seed Biscuits to Thirteen-Bean Soup; Pumpkin with Sautéed Onions and Herbs; a Salad of Whole Tomatoes Garnished with Green Beans and Scallions; and Raspberry Pie Garnished with Whipped Cream, In Pursuit of Flavor is a modern classic and a timeless compendium of Southern cooking at its very best. Edna Lewis was born in 1916 in Freetown, Virginia, a farming community founded after the Civil War by freed slaves (among them her grandfather) and for many years lived and cooked in New York City. She was the recipient of numerous awards, including the inaugural James Beard Living Legend and Southern Foodways Alliance (SFA) Lifetime Achievement Awards, the Grande Dame des Dames d’Escoffier International, and the International Association of Culinary Professionals (IACP) Lifetime Achievement Award. Her books were inducted into the James Beard Foundation Cookbook Hall of Fame, and she was commemorated with a United States Postal Service postage stamp. Miss Lewis was also the author of The Edna Lewis Cookbook, The Taste of Country Cooking, and, with Scott Peacock, The Gift of Southern Cooking. She died in February 2006.